We decided to visit the apple orchard simply because it was a pleasant way to spend time together on a beautiful day. There was no other reason, or so I thought. 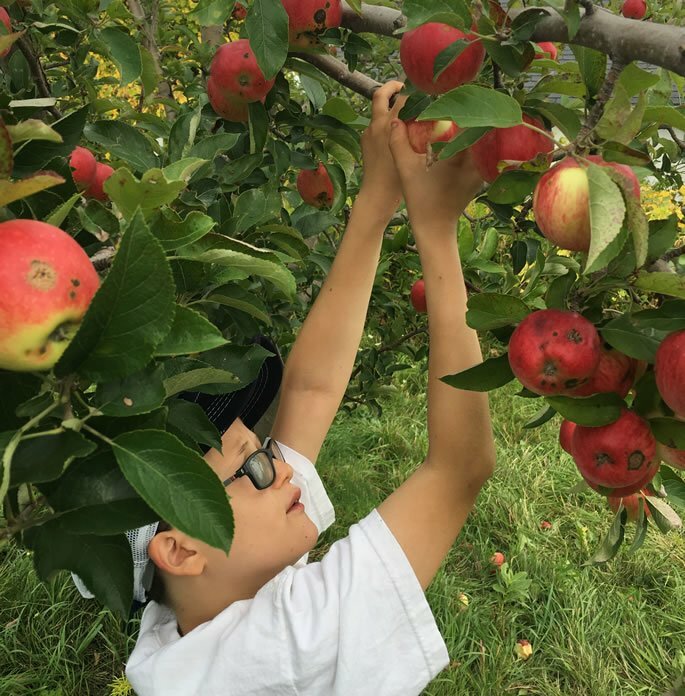 But I had failed to recognize the significance Sometimes G‑d finds us even when we’re not looking for Himof being in an apple orchard the weekend before Rosh Hashanah, when we eat apples to signify a sweet year ahead. Sometimes G‑d finds us even when we’re not looking for Him. As my family and I picked fruit on that picturesque September day in a small Wisconsin town, I thought to myself, “I bet we’re the only Jews here, and likely the only Jews within miles of this place.” But not a minute later a teenager came running through the grove, hand held tightly to the yarmulke atop his head, tzitzit swaying in the wind, followed by an entire group of teenagers on a school outing. G‑d had read my thoughts and proved me wrong. The Jews had in fact formed a significant population on the farm that day, and it was He who had orchestrated it all. 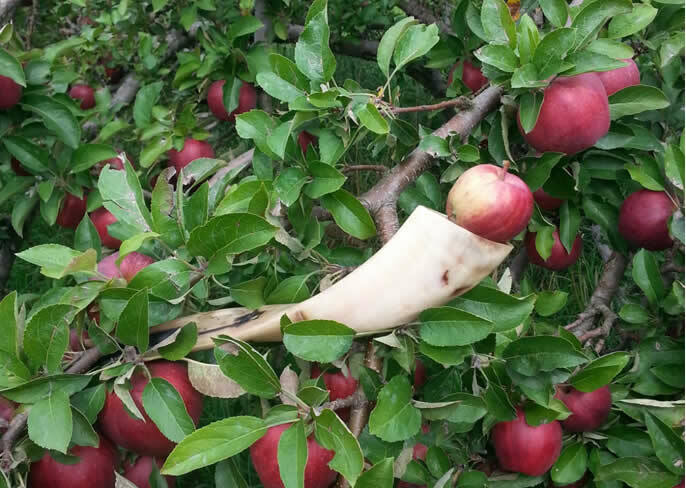 During the Jewish month of Elul, the time period that precedes Rosh Hashanah, G‑d—our King—can be found in the field, traveling on His way to the palace. No appointment is necessary; anyone who so desires may have a personal, one-on-one encounter with the King. He is accessible to all. I wondered: why would the King leave His palace in the first place? Does he not own everything? He doesn’t even need to “snap his fingers,” so to speak, and anything He so desires avails itself to Him. Does the Supreme Being need anything at all? But apparently, the King does have a desire—that we renew our relationship with Him. In Judaism, a king is not a despot, but an elected leader positioned by people who willingly submit to His will. The relationship is reciprocal. So G‑d is in the field, hoping that we renew our bond, reminding us—lest we forget—that we have a connection. G‑d had reminded me with a quorum of Jewish teenagers and their teachers, one of whom proudly held a shofar. He blew the holy sounds that permeated the air, surrounded by sweet apples and a group of excited Jews. Sometimes, even when we’re not looking, the In Judaism, a king is not a despotKing seeks us, finds us, and reminds us that He’s involved. I wasn’t looking for G‑d; G‑d found me, and reminded me that Rosh Hashanah was approaching. There’s more to Rabbi Schneur Zalman’s parable: When Elul concludes, G‑d returns to the palace. On His throne, access is granted by appointment only. Garnering His attention might prove more difficult. So why not approach the King now when he’s in the field, or when you’re at the office, in school, in a store, or on what you thought was just a leisurely stroll through an orchard? I had forgotten, but the King remembered me. And I am thankful. 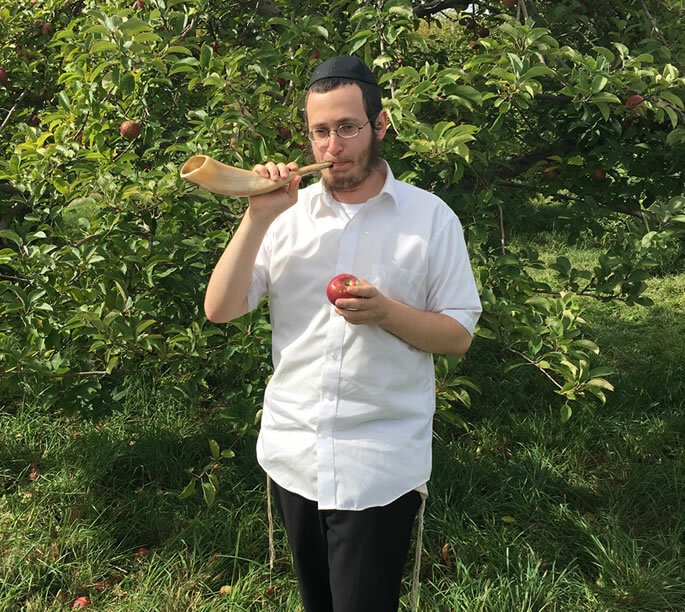 Mendel Gurary, of Bader Hillel High School, blows the shofar in the apple orchard. Let's Storm the Town Hall Meeting!